Cooperative problem-solving puzzles (complete with answers). Groups of 3-8 students must interpret and understand a sequence of written information. Some Tanglers are fictional; others present interesting factual information about historical, geographical or scientific content. Some involve deductive logic, while others require mathematical operations. 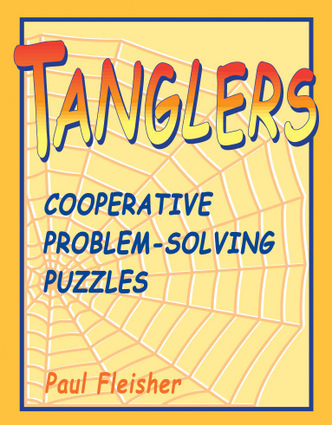 A lesson plan for using the Tanglers and one to help students write original ones of their own are included. It’s a great way to integrate thinking skills into any instructional content area.